Controling weeds takes technique and timing. We have tips to keep your lawn and garden weed population under control. Whether you love or hate weeding your garden, it’s a task that’s a must in both organic and non-organically maintained landscapes. Even when chemical herbicides are used, you’ll still need to remove certain weeds by hand to ensure their eradication. Even so, even the most meticulously maintained landscapes will still have a few weeds. Getting weed populations under control can be difficult at first, but with dedication it is possible to greatly reduce weeds the natural way. As your soil becomes healthier and grass grows thicker, weeds will be choked out over time. As always, the best medicine is prevention. Stopping the spread of weeds before they get out of control is the best way to reduce weeding tasks. When removing weeds from your garden, time is of the essence. The goal is to interrupt the flowering cycle before new weeds can germinate. Pulling or cutting down weeds before they flower will reduce the spread of the weeds in your garden. If you don’t have time to pull weeds by hand, mowing will stop flowering and seeding. Weeds are often an indicator of poor soil conditions, soil compaction, or nutrient deficiencies. 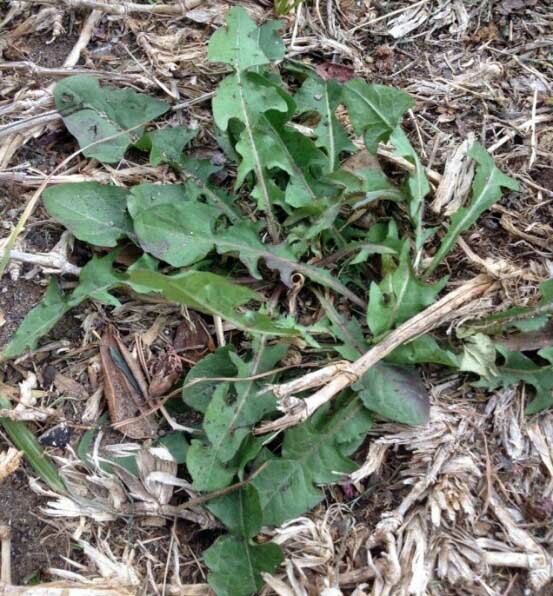 As you condition your soil and increase microbe populations, weeds reduce as they tend not to thrive in fertile soil. Existing plants will become stronger with improved soil conditions and this can help choke out weeds from your garden. Using corn gluten pre emergent can help cut down on new weed seed germination. When removing weeds it’s very important to remove the entire root system. Root systems can vary greatly from species to species. For example, if you remove a dandelion from the surface or only partially remove the tap root, the weed can regrow. The same holds true for many other perennial weeds. Some weeds, such as Nutsedge, have small tubers that connect multiple plants. When pulling nutsedge it’s important to remove the entire plant, root system and “nuts”. The best way to cut down on nutsedge is to physically pull plants before they have 5 leaves. While weeding your garden by hand may not seem like the most exciting task, it can actually be very good for your mind and body (or that of your children!). Use your weeding time to get some fresh air and exercise. If you compost, weeds make a valuable addition to the compost pile and can return many valuable nutrients to your landscape. Have backyard chickens? Weeds make great chicken treats! For details on specific weeds invading North Texas lawns now, visit our Weed ID Guide.